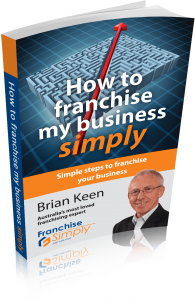 You are thinking about franchising your business but you’re not ready yet and perhaps you are not even sure if this is the road you want to take. And you don’t want to waste a lot of money trying. With great staff capable of taking much of the day to day off your shoulders. You know that structuring a business in this way will mean you will not have to work long hours in the business, it will be easier to grow and, when the time comes, much easier to sell for more return. Our team has worked hard to bring you the answer. This follows three clear steps. By the time you finish, you will have a business which is well structured, with well managed systems. And ready to start the exciting road to growth, franchised or not. Like all our programs, you can take the basic ToolKit and work through the information yourself, or you can choose to work with our expert team on selected elements through the Boost or TurboBoost program options.